Dylan and Dee Dee only have time for a quick update. It has been a very busy week. 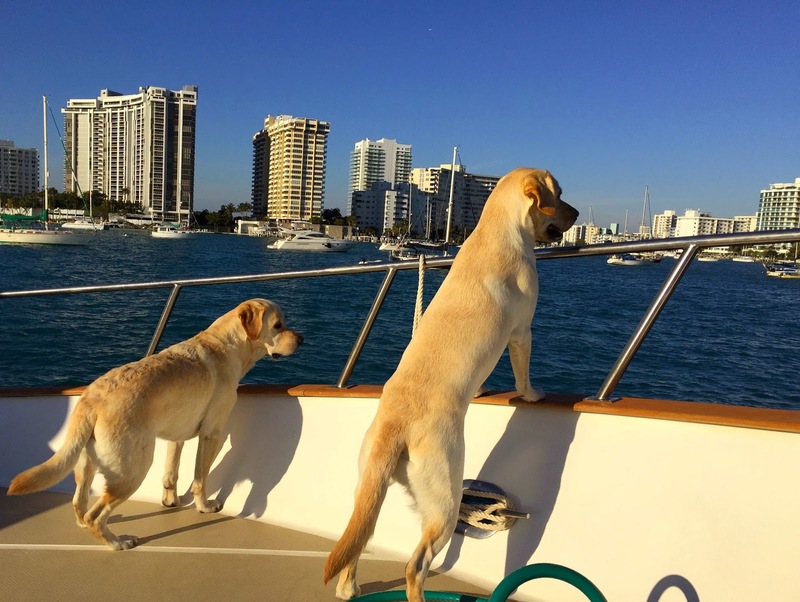 We've been anchored at Belle Isle in Miami Beach so that their dad could attend the Miami Boat Show. The kids weren't allowed at the show but still had a great time watching the goings on in Miami Beach. 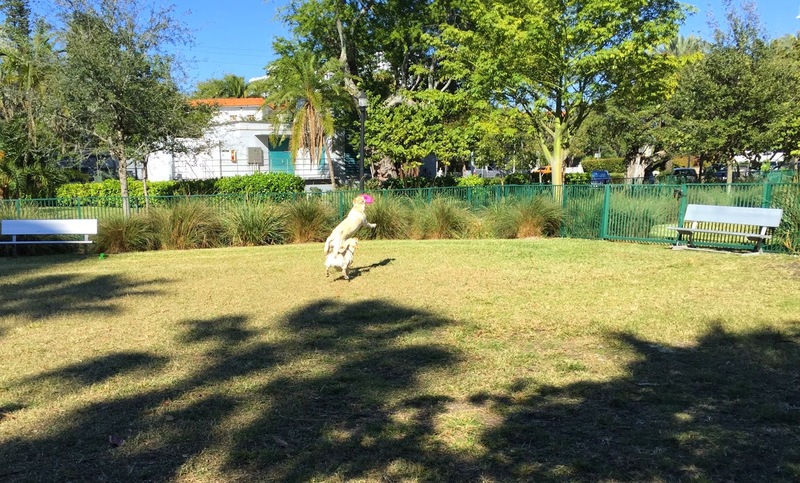 Of course, no stop would be complete without checking out the dog parks - and yes, in Miami Beach, dog parks is plural. 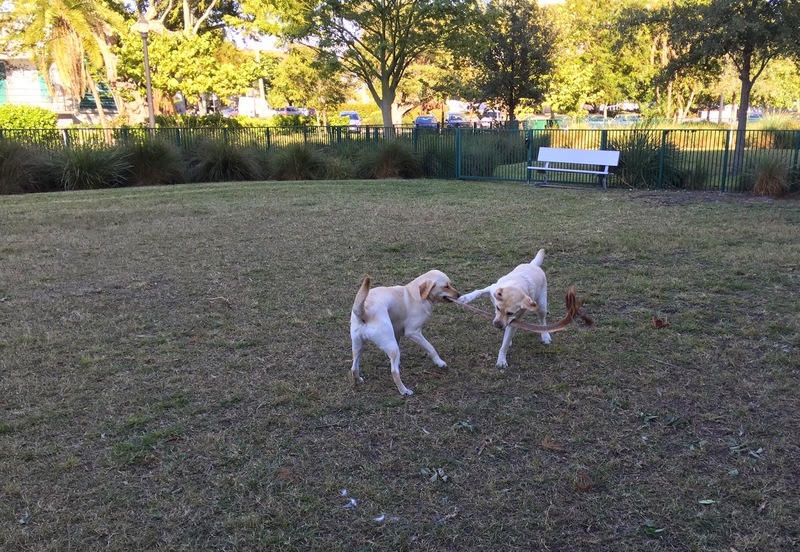 It turns out there were two dog parks we could walk to. And the best part is that visiting either one started off with a dinghy ride. The first was at Flamingo park. It was a nice park but a long walk through Miami Beach. The next day we went to the Belle Isle dog dark which was just a walk across the Belle Isle bridge. That turned into a favorite. The crew learned right away to line up around 3 o'clock for their ride in the dinghy. 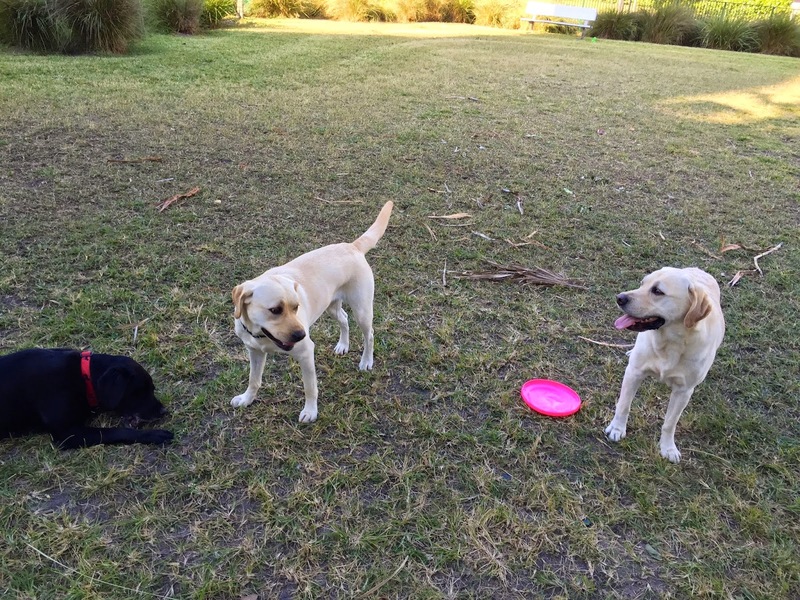 Dylan got a chance to work on his Frisbee catching prowess. It was a great week, topped off by good friends John and Marilyn showing up with black lab Gracie. Gracie and Dixie have been good friends of Dyna and Dylan for years. Dixie has joined Dyna in the huge dog park in the sky. The three of them had a blast. Tomorrow we all plan on crossing over to the Bahamas were the two crews can take up their friendship and trade the dog park for a beach. Stay tuned - this will be Dylan and Dee Dee's greatest adventure! It's Better In The Bahamas! 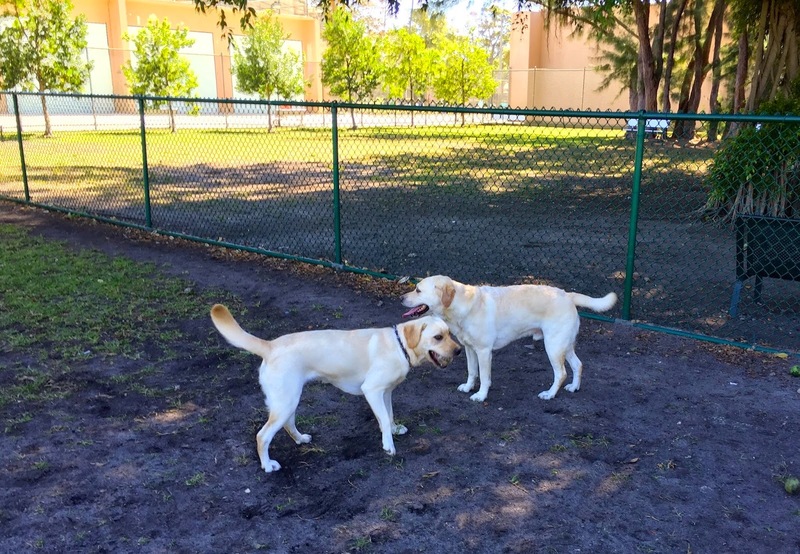 The Vero Beach Dog Park!!! !